Grill badges are adorable, you need a dog!!! or a Pit Bull head- NO ears chopped. 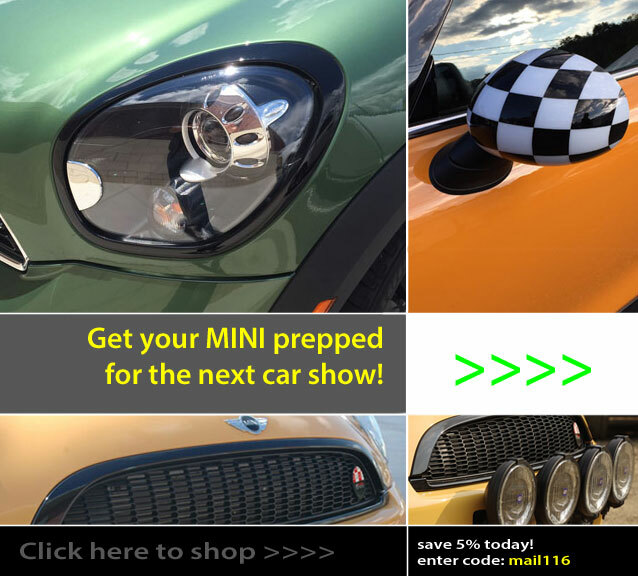 Today is the day to get a little something for your MINI to make it stand out in the crowd. OutMotoring has the best selection of upgrades to make your MINI unique. From blackout grills and driving light kits to Mirror Caps and Blackout Rings we've got a little something for every MINI.